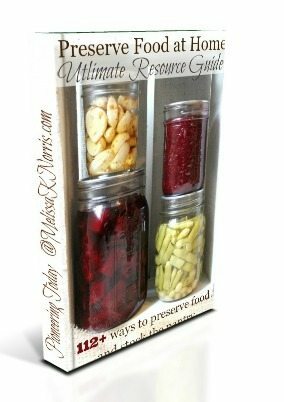 The Home Food Preservation Ultimate Resource Guide has over 80+ 112+ resources in articles, tutorials, books, equipment, and videos covering home canning, dehydrating, freezing, root cellar, and using alcohol and oil to preserve your food at home. For those just getting started to those of you wanting to up your game. I share what I started with, what I now use, and what items will make your home food preservation easier. Everyone should know how to preserve food at home, whether you grow it, hunt it, forage it, or buy it at the grocery store, being able to preserve it stretches your dollar, increases your food storage and self-reliance, and is just plain cool, at least in my book. Grab these skills for you and your family. And because us homesteader types are a nice bunch, feel free to share this page so others can get in on the fun. Get our best articles, recipes, and DIY centered around living the best of the simple in a modern world! Heirloom Gardening Guide-Plant to Save Money is a 40 page ebook of everything you need to know to get gardening with heirloom seeds. Which veggies and fruits to plant for preserving the harvest and which preserving methods work best. A FREE Bonus gift to my newsletter subscribers! 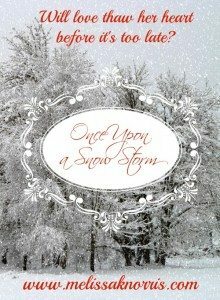 Once Upon a Snow Storm is a short historical romance and free to my author newsletter subscribers. I’m a romantic at heart and no one can have too much love in their life, right? Will love thaw her heart before it’s too late? melted at his feet. I know how they feel.